← MISSA, how I <3 U! 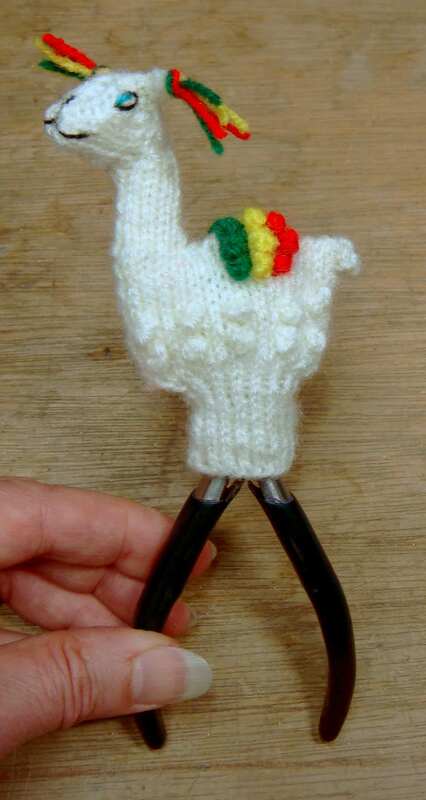 What the well-dressed pliers are wearing this season. This is an authentic Peruvian llama finger puppet. Only the finest and most exotic dressing for my pliers! Why do pliers need dressing? They don’t, actually, need clothing, but what almost all pliers DO need is a bit of specialty finishing work. 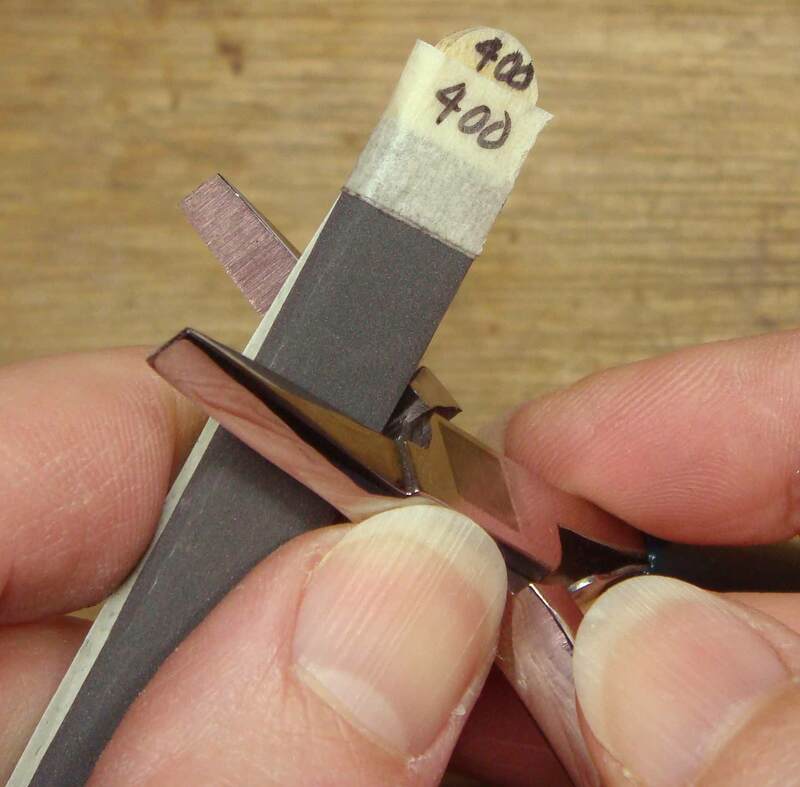 A few minutes of focused effort on your part can make a huge difference in performance for even the highest quality pliers. 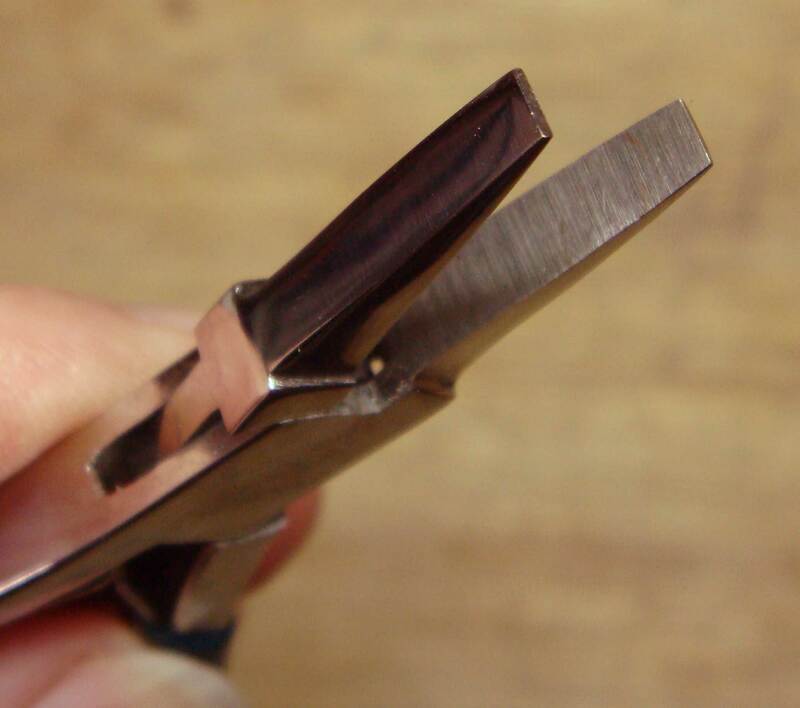 The very crisp edges on this pair of flat-nose pliers are, well, pretty dang crisp, and will likely leave little divots on any metal that you bend with them. In addition, there are some slight irregularities to the edges of the jaws that I can correct, and the insides of the jaws have a little tooth left on them from being ground and shaped during manufacturing. All these things can leave unintended marks on your metal as you manipulate it with the tool. 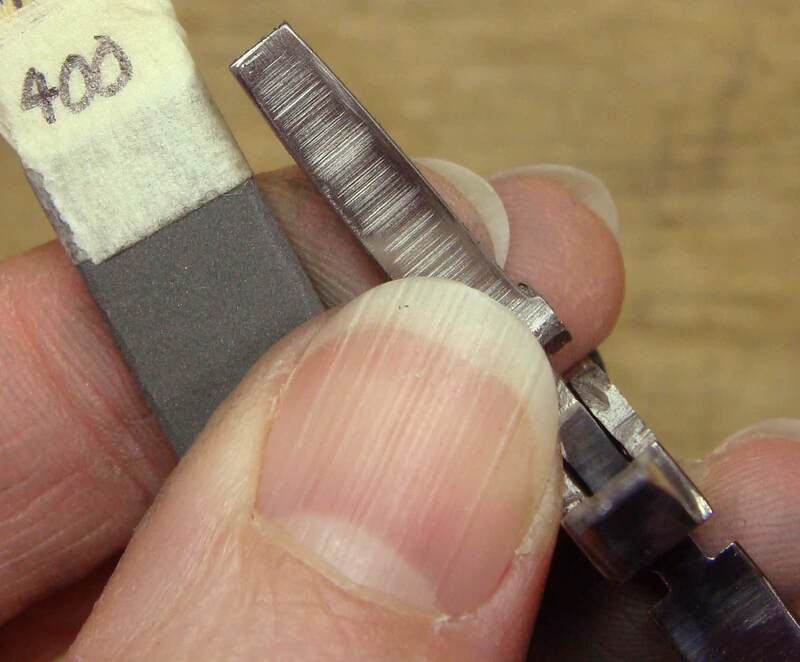 The justly famous Charles Lewton-Brain maintains that any mark of process you put on your metal should be intentional, because otherwise you have to spend time removing it. Hear! Hear! To begin with, smooth and slightly round the inner edges of the jaws. Both sides of both jaw parts need to be addressed. Here is the result of just a few minutes of work. 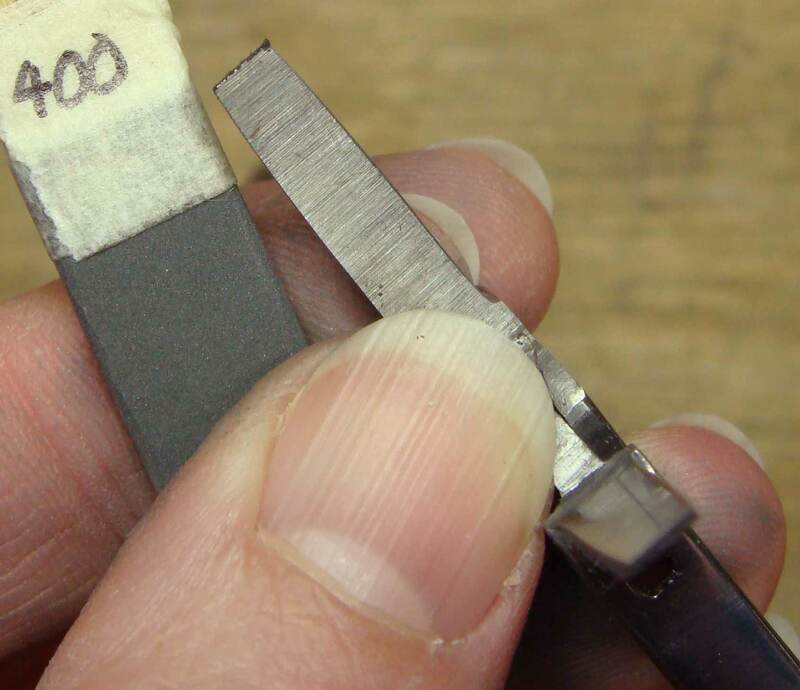 This shiny, slightly rounded edge is a big improvement, and jumps a perfectly acceptable economy pair of pliers up at least a notch, if not two or three notches. 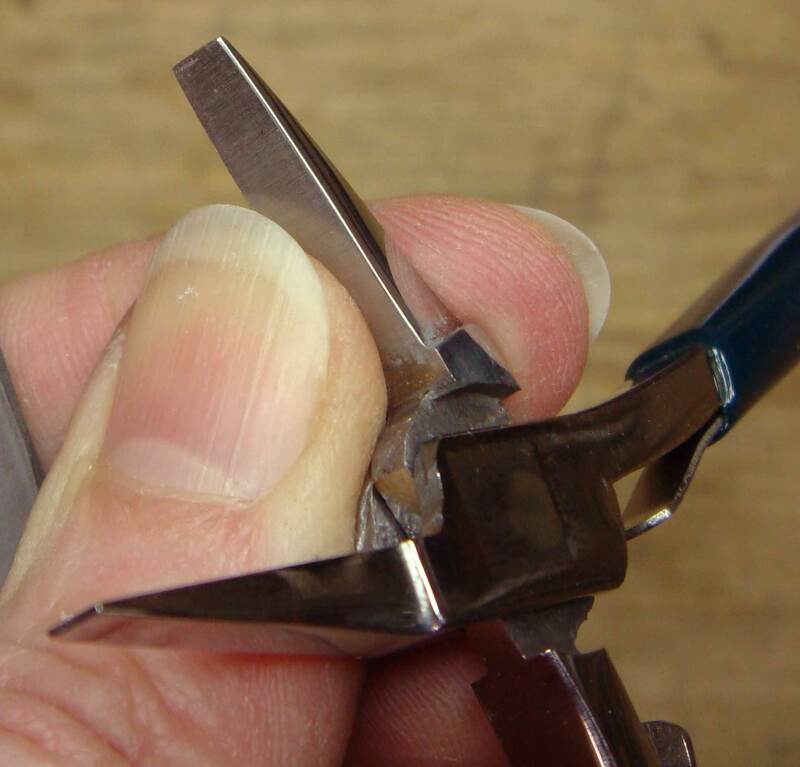 A little tooth on the inside of plier jaws can be a good thing, giving them a bit more grip. 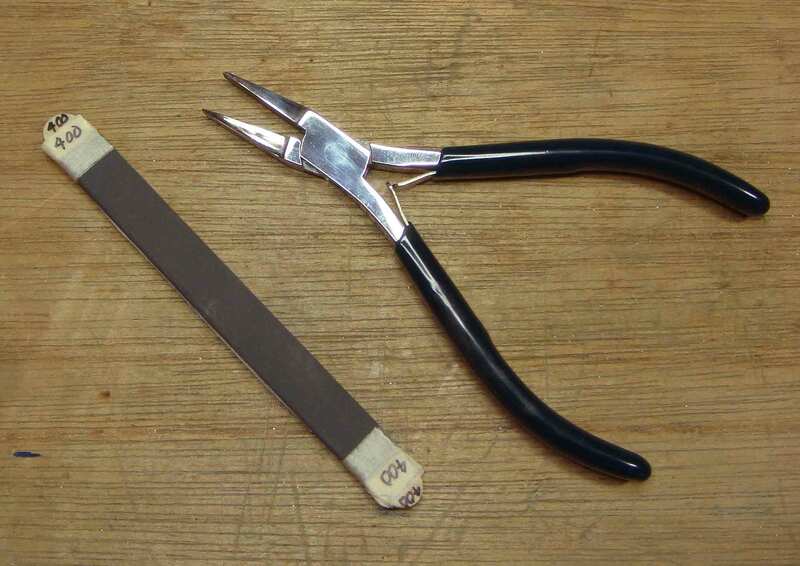 But if you are working with fine or very soft metals and notice that your pliers are leaving matte marks on your metal, you can change that by polishing the inside surfaces of the jaws. P.S. Did a friend forward this post to you? Did you stumble on it by accident? Want to eliminate the element of chance? Click here to get on my direct list. This entry was posted in Get the Most from Your Tools and tagged dressing, finishing, pliers, sanding, sanding stick, sandpaper, tools. Bookmark the permalink. What a great post!!! Thank you so much – FYI: Hilarious picture!!! Thanks! My sweet friend Anne brought me the finger puppet. It was about time I put it in a blog post :). You’ll be glad you did :). I thought I was going to learn how to knit the llama! Sadly, I do not know how to knit the llama, so I can’t share that with you. My llama was a gift from a globe-trotting friend who schlepped it to me from Peru. Thanks Julia, As always your suggestions are wonderfully useful. Thanks Eva! Glad you found the post helpful.